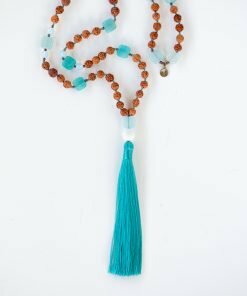 Prosperity can not only be a state of attaining, rather a state of acceptance receiving with grace the abundance that is available to you. 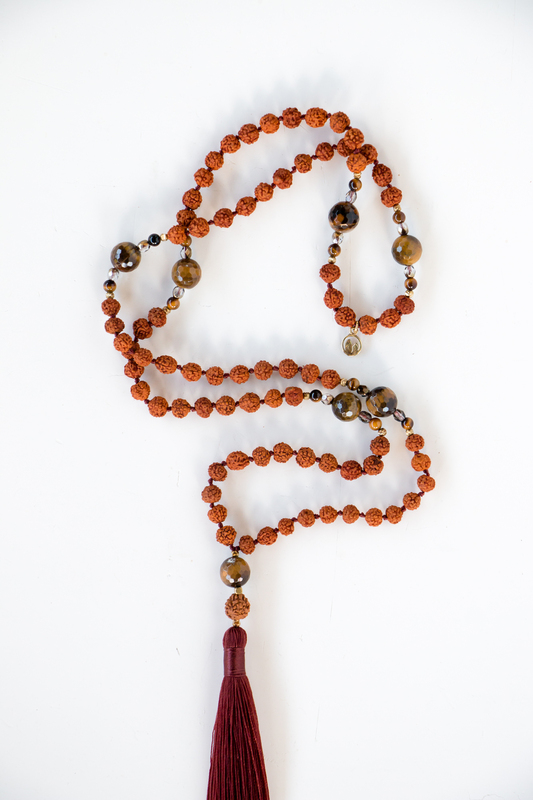 The practice of opening up to what the divine, or the universe has for us teaches us faith. 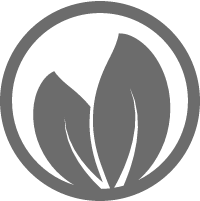 The practice of living in this faith daily builds discipline. 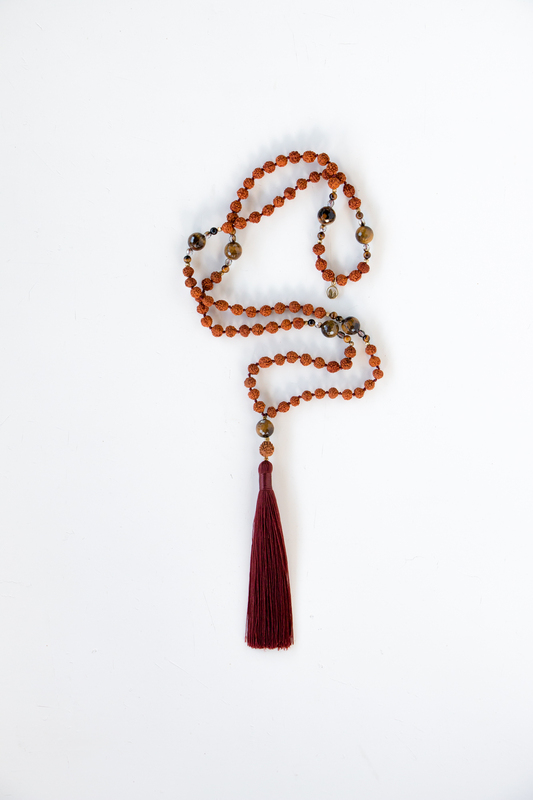 Harnessing this discipline we can build the world of our dreams. 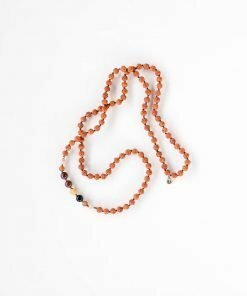 Tiger’s Eye supports necessary change in all aspects of one’s life, strengthening the will and clarity of intention in order to manifest at the highest level. 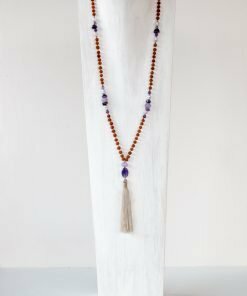 Tiger’s Eye is ever vigilant, bringing sharpness to one’s inner vision and better understanding of the cause and effect of each situation. 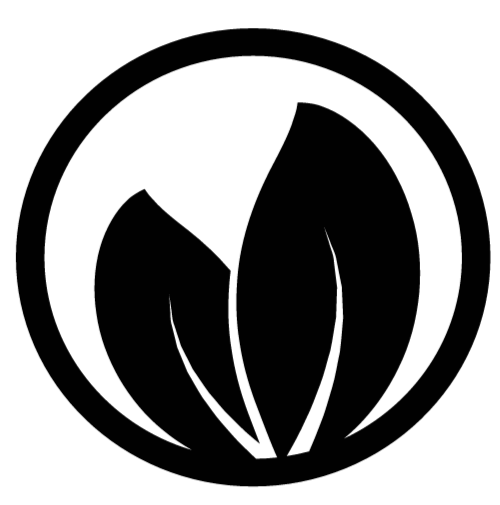 It encourages one to use their powers wisely, and allows scattered information to be brought together to a cohesive whole. 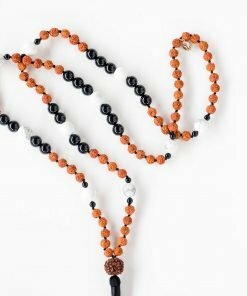 It inspires creativity and utilizing one’s talents and abilities, and is superb for stimulating wealth and the good judgement needed to maintain it. 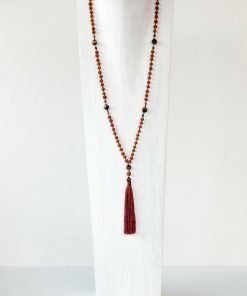 Tiger’s Eye warns against complacency and emboldens one to “step out of the box” in order to grow and challenge one’s artistic and creative talents, physical abilities and trying something new. 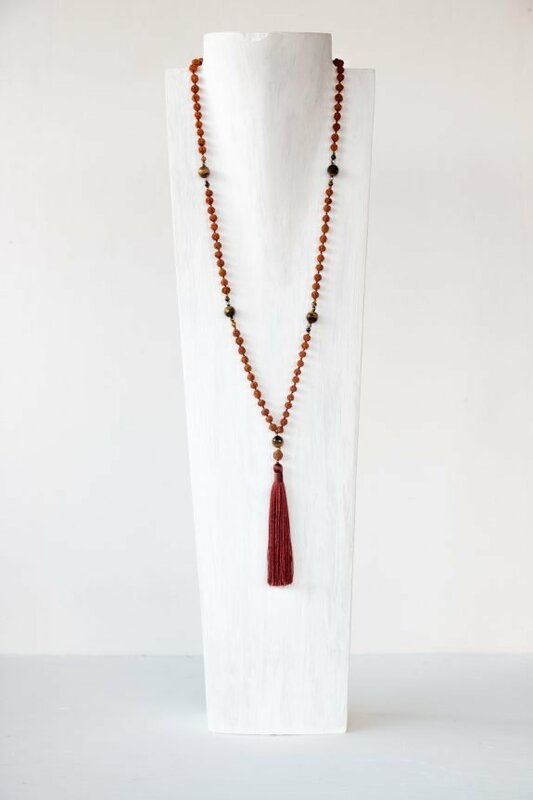 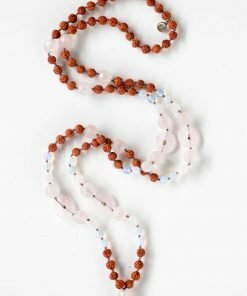 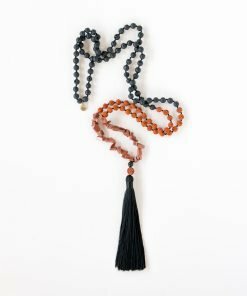 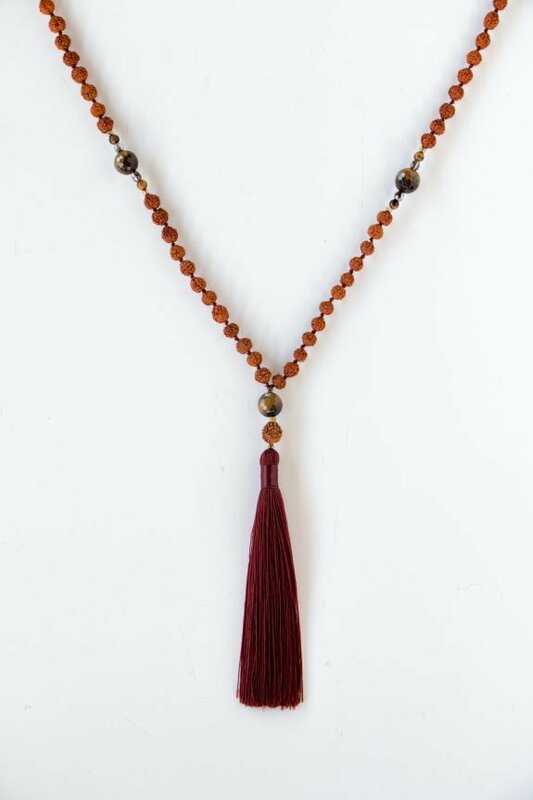 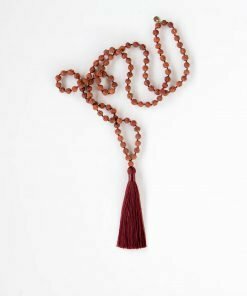 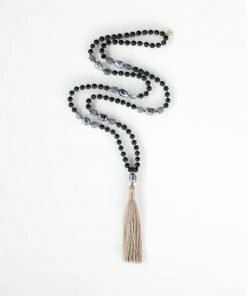 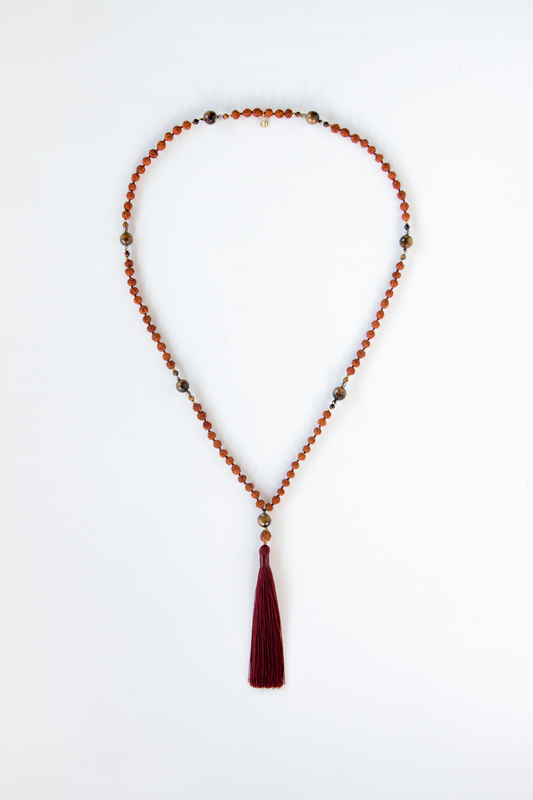 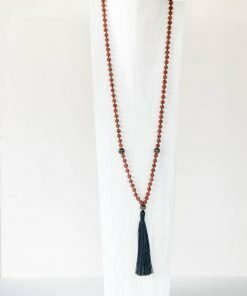 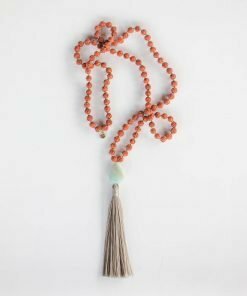 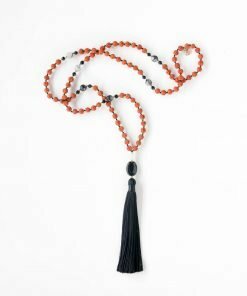 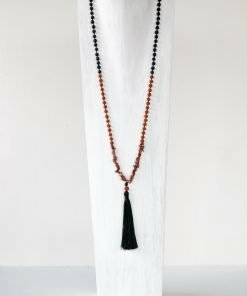 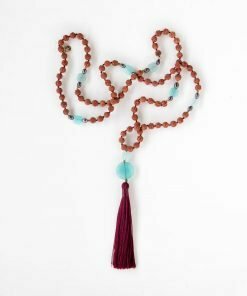 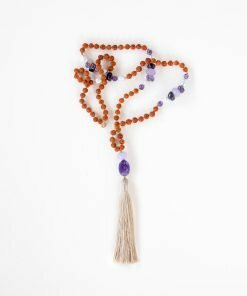 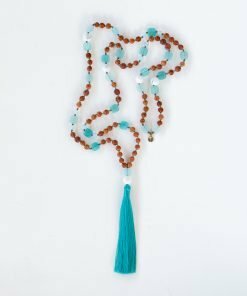 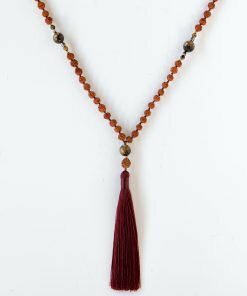 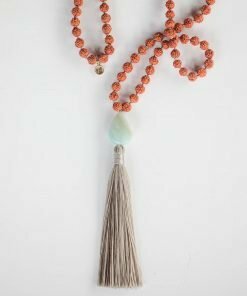 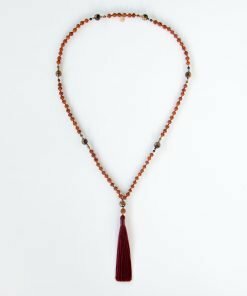 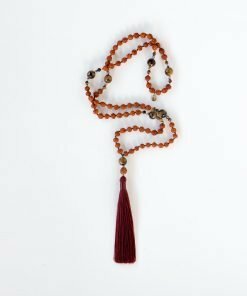 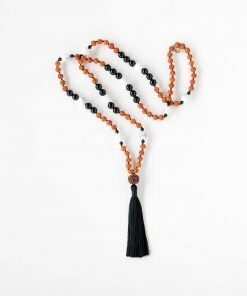 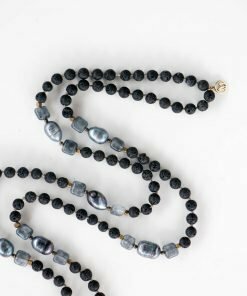 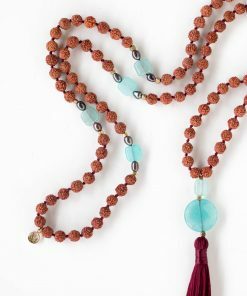 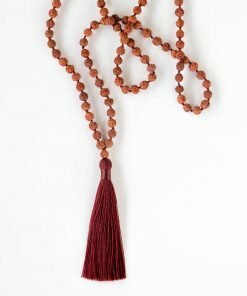 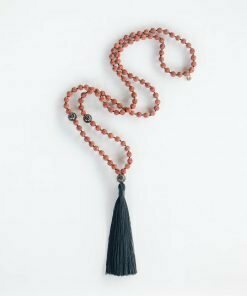 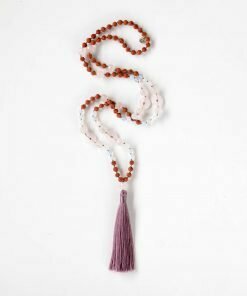 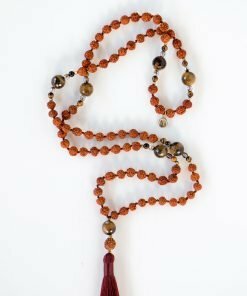 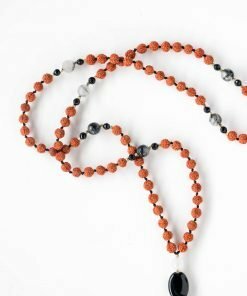 Each Mala is hand strung and knotted with love made from unique stones and natural materials. 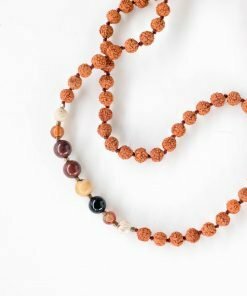 Individual characteristics are to be celebrated as no two Mala will ever be exactly the same.